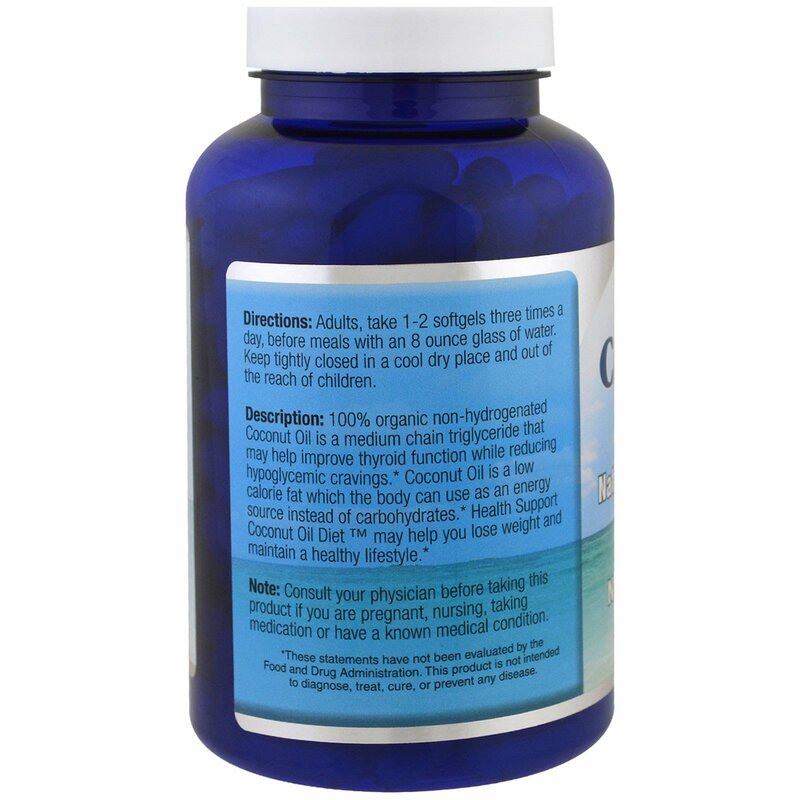 100% organic non-hydrogenated Coconut Oil is a medium chain triglyceride that may help improve thyroid function while reducing hypoglycemic cravings. Coconut Oil is a low calorie fat which the body can use as an energy source instead of carbohydrates. 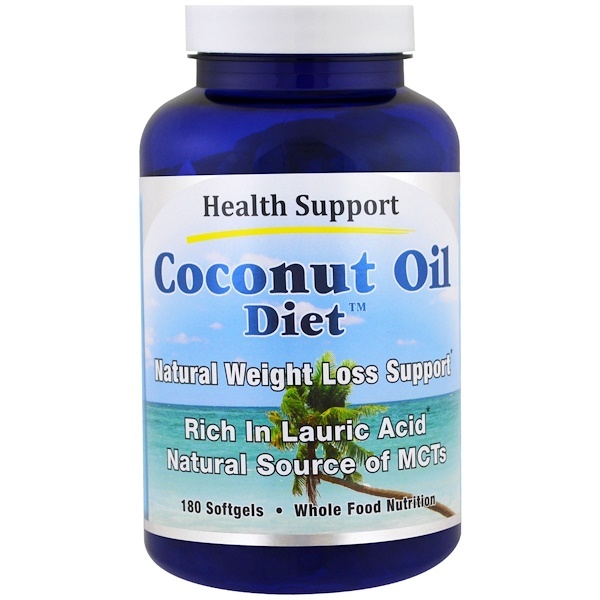 Health Support Coconut Oil Diet may help you lose weight and maintain a healthy lifestyle. Gelatin (bovine), vegetable glycerin and purified water. 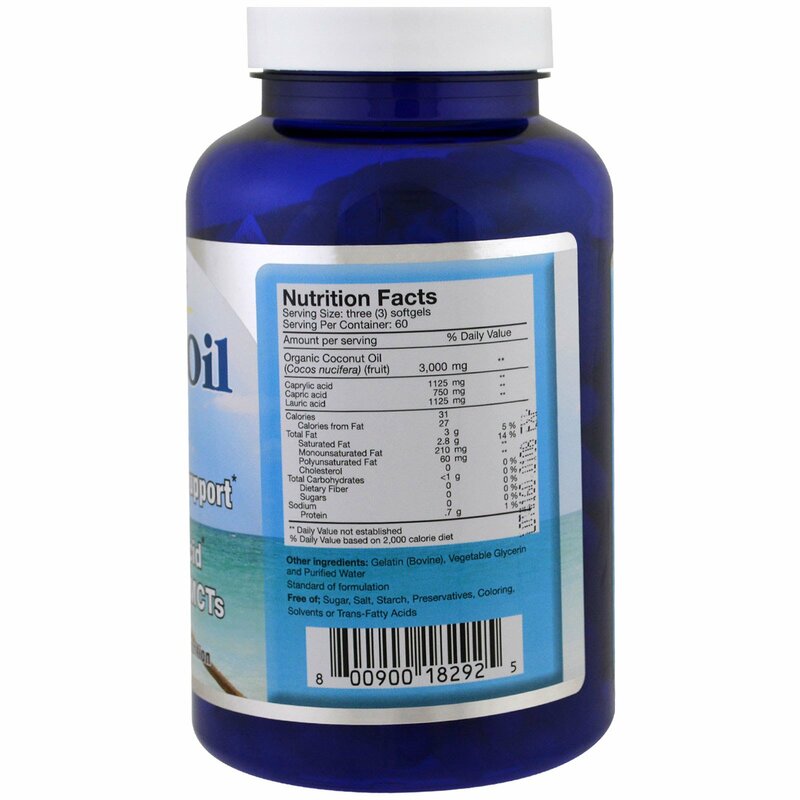 Free of: Sugar, salt, starch, preservatives, coloring, solvents or trans-fatty acids. Consult your physician before taking this product if you are pregnant, nursing, taking medication or have a known medical condition.